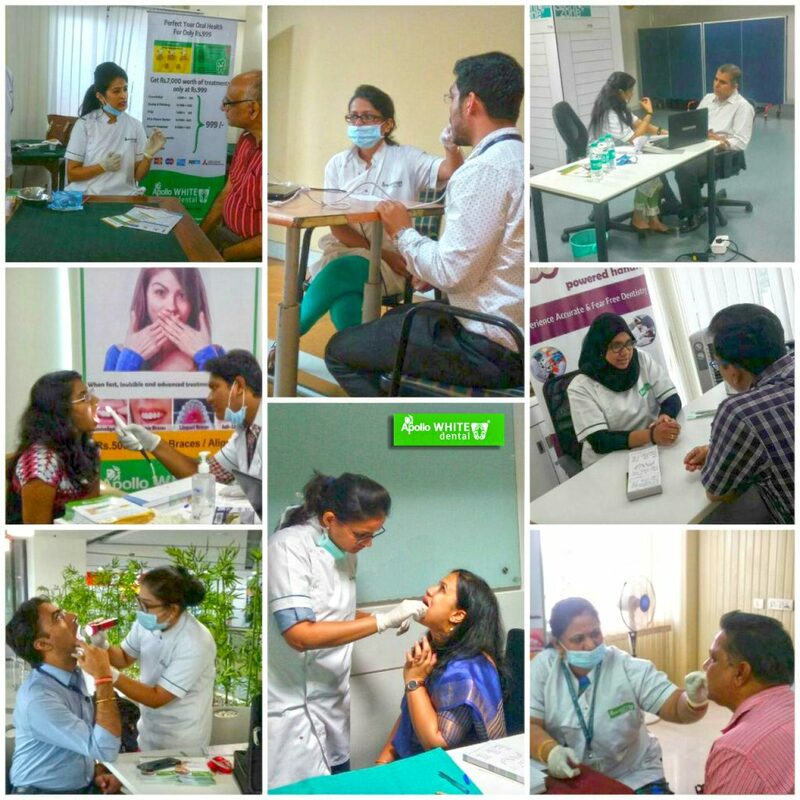 Dental camps by Apollo WHITE Dental care specially designed to provide relevant insights into your organization’s Dental health care needs and are delivered with enthusiastic participation from dental professionals serving the cause. We emphasize on only on Dental Awareness and routine screening for cavities, gum disease, missing teeth, misaligned teeth, unerupted wisdom teeth and provide a comprehensive treatment option but also look into the oral changes associated with systemic diseases like Diabetes and vice versa. Here are a few examples to quote.